On the inside, there is 1.7GHz Octa Core processor. Delivering productive multitasking with its 2 GB RAM, this phone is a true performer. 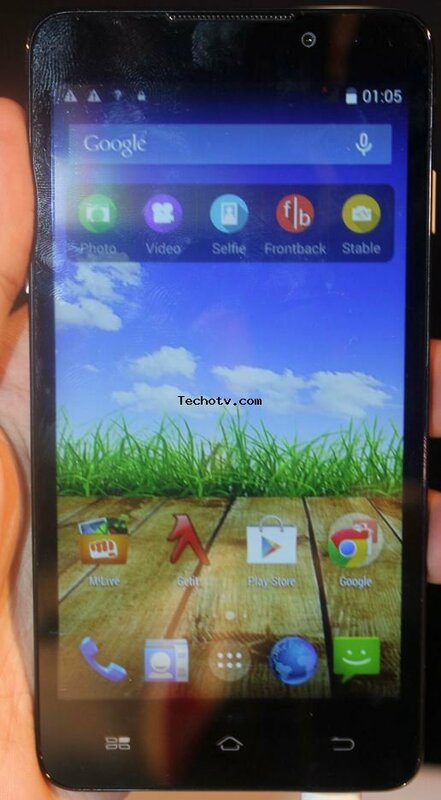 On its 5 inch screen, the display resolution is 1280*720 pixels. The pixel density is 294 ppi which is neither bad nor very good. It features about 8 GB as its internal memory. On the back is located a 13 megapixel camera. On the front side, there is 5mp camera also. 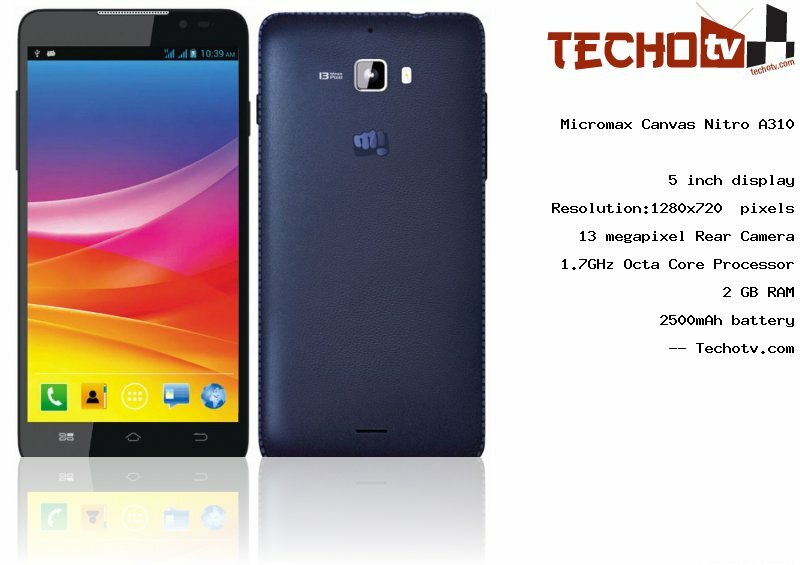 The Price of Micromax Canvas Nitro A310 is Rs 12990. More pricing details from different online stores are not available at the moment. front camera has OmniVision OV5648 sensor, 22m wide-angle lens with 75-degree viewing. Software features like Smart Gestures, Smart Alerts, Blinkscreen (a new kind of lockscreen), Quicklook homescreen with weather, Facebook or Twitter feeds, and Trending apps widgets.